It has been a while since E.L.F launched its hydrating range of products but I only discovered it last month. My skin is dry/combination and I have had dermatitis so I appreciate hydrating products on a whole another level than an average person. 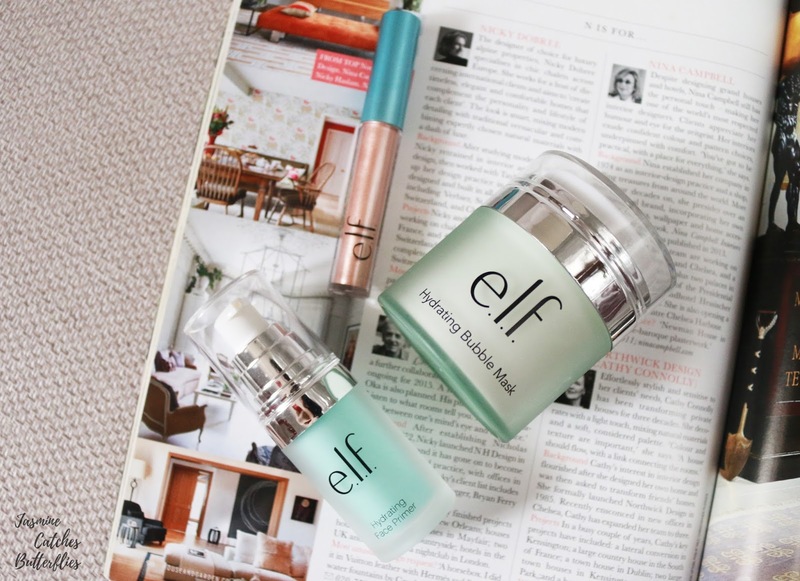 I must say that when I first saw the packaging of the ELF’s hydrating range, I was quite impressed by the whole aqua green theme as everything looks a bit luxe for a super affordable drugstore brand like ELF. 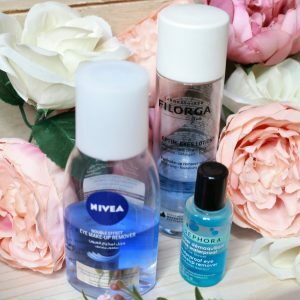 The prices certainly have gone up with this one, but let’s first get into the nitty gritty of the products I have been playing with lately. I was actually sent all of these products by ELF Cosmetics Pakistan, so I was told that I will be sent some products from the hydrating range, but I was also asked to pick another product and a brush (I chose the ELF contouring brush, in case you are curious, but you might have already seen it on my YouTube channel along with all of these products). Anyways, so the products the brand had chosen for me were the bubble mask and the primer, while the molten liquid eyeshadow was what I had picked myself. The whole bubble mask concept is just so exciting and fun! 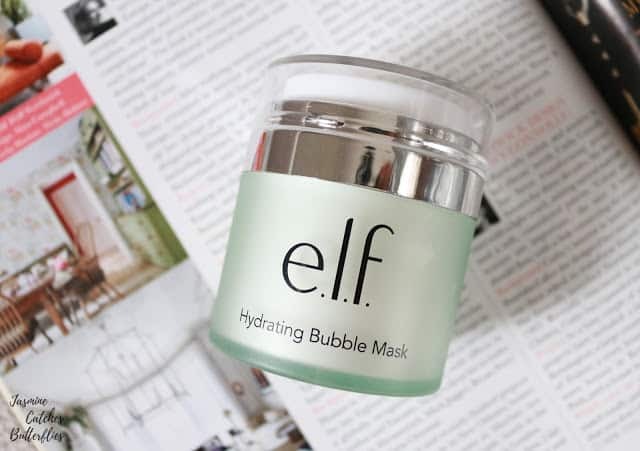 This one from ELF is actually my first bubble mask and boy, I was ecstatic to see how things go. So as you can see this mask comes in a chunky plastic tub but you have to press the top of it to dispense the product through a tiny hole. This way, you do not waste any of the product and I find it hygienic too. The mask is initially a gel but it starts foaming as soon as it comes in contact with air. Since it bubbles right away you have to work with it quickly. So this mask is supposed to cleanse the pores and give a healthy glowing skin. Now, I would say that this does seem like a good deep cleansing product, it certainly did that for me. I mean after the use, my skin felt squeaky clean and I could not feel any of the bumps on my nose which I tend to get from time to time. As directed, I basically apply a thin layer on already dampened skin, leave it on for about 10 minutes, wait for the bubble to dissipate and then rinse off with warm water. It is advised to follow with a moisturizer afterward and I certainly feel the need of doing so as this mask is quite soapy when rinsed so it does strip the moisture out of my skin. This is something that I did not expect from a product that is supposed to be ‘hydrating’. So, I think people with oily/combination skin would love it, but the ones with dry skin would need to be careful. See this mask in action in my ELF Hydrating Mask YouTube video. I am not the biggest believer of primers and I do not think they make that much of a difference in my makeup routine. I mean I have tried super inexpensive ones, and then I have tried the Makeup Forever Skin Equalizer too. 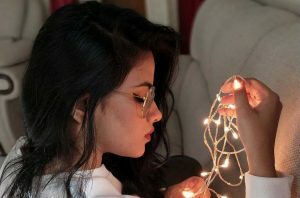 They do help but I do not feel blown away so I do not consider them to be a necessity for my skin personally. 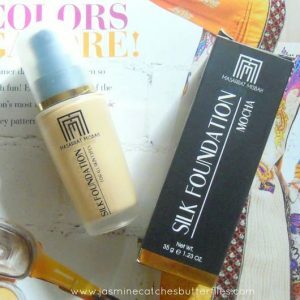 I know primers are usually great for giving your foundation something to stick to and they make the makeup to last long, especially in hot and humid weather. However, speaking for myself, I do not really wear makeup for lengthy durations and my skin is already dry so I do not usually have to worry about things like my makeup cracking in places due to oiliness. 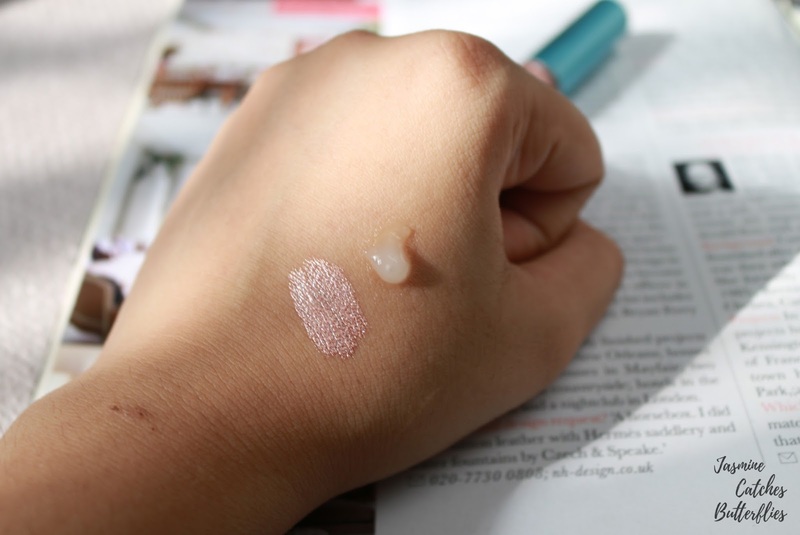 Though, I do appreciate a good primer when my skin is flaky as it helps in applying the foundation smoothly. 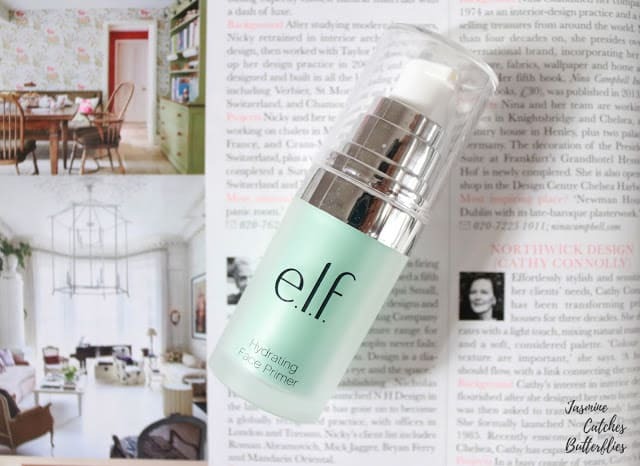 This ELF Hydrating Face Primer is clear and does feel silicon-like but it is light weight. 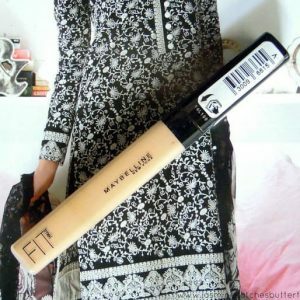 It glides onto skin easily, providing a smooth base for foundation. Also, when I powder to set my under eyes or pores, my skin usually tends to feel dry but this primer certainly hydrates and helps in preventing that. 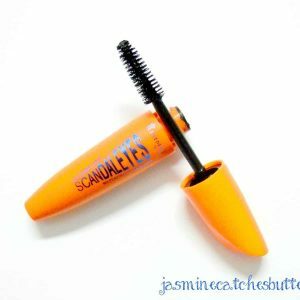 It contains vitamin A, C and E which is a plus as it nourishes your skin under all that makeup. So far, I like this primer and I am hoping it would be good for my skin in the long run. I am happy to report that I have had no reactions to this product. ELF does do a variety of face primers so you can check out their website for brightening, blemish control, poreless, mineral infused, illuminating and tone adjusting primers as well. This is my favourite product out of everything that I have tried so far from the ELF hydrating range. I got this because it reminded me of Stila’s liquid’s eyeshadows that I have been wanting for a while. I like the concept of liquid eyeshadows and it is great to see some from ELF now. The molten liquid eyeshadows come in six shades and I went for rosegold because I thought it would be different and I am so glad I did. 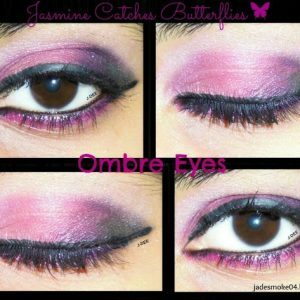 It is quite pink toned and looks lovely on the eye lids. It is really easy to work with. 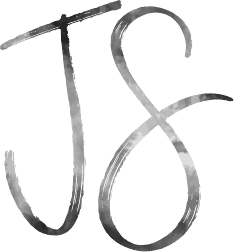 It can be completely blended out or even built up without getting tacky or crusty. I wore it to my graduation party and even though it was a humid night in Karachi with light showers of rain from time to time and I was by the sea, the ELF Molten Liquid Eyeshadow did not budge. In fact, it looked just as beautiful at the end of the night as it did when I had first applied it. 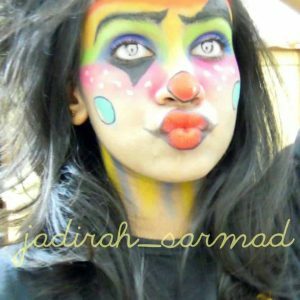 Check out my graduation party makeup and the ELF Hydrating Primer and Molten Liquid Eyeshadow in action below. For me, the ELF hydrating range has been good and I am looking forward to trying out some more products. 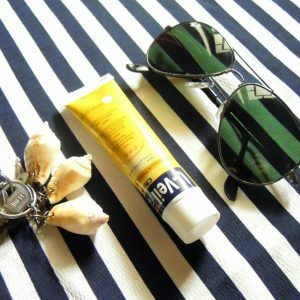 I would say that the mask comes with a hefty price tag, while the other two products mentioned in this post are still affordable. However, there is a difference of price in Pakistan in comparison to international rates even though the brand is selling here officially, which is a bummer but I am not sure why that is the case. 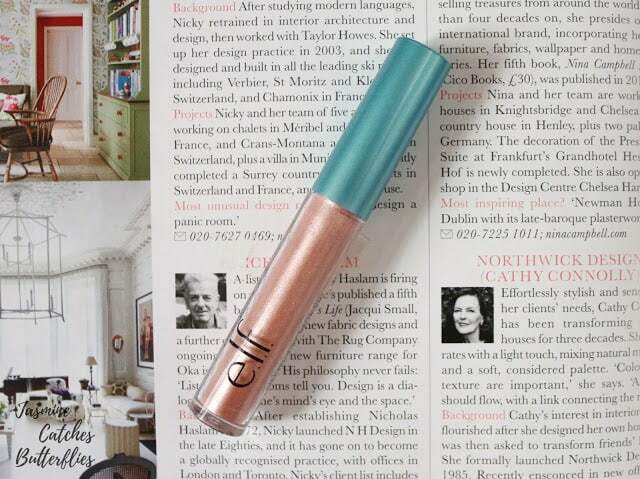 Nonetheless, for the most part, ELF is still an affordable brand and is surely worth a try.